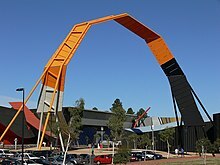 The District of Belconnen is one of the original eighteen districts of the Australian Capital Territory (ACT), used in land administration. The district is subdivided into 25 divisions (suburbs), sections and blocks. 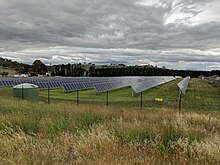 The district of Belconnen lies entirely within the bounds of the city of Canberra, the capital city of Australia. Murray County was one of the original Nineteen Counties in New South Wales and is now one of the 141 Lands administrative divisions of New South Wales. 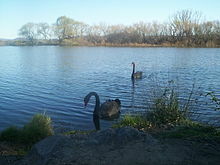 It included the area which is now part of Canberra and as far north as Lake George and Yass. It was originally bounded on the west by the Murrumbidgee River, on the east by the Shoalhaven River and on the north by the Yass River. 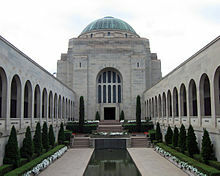 A large area of the county was transferred to the Commonwealth government in 1909 in the Seat of Government Acceptance Act to make part of the Australian Capital Territory, along with land in Cowley County. Since then, the ACT border is now part of the western boundary. Part of the ACT border is determined by property boundaries in the Parish of Keewong, in the County of Murray; specifically the southern end of portions 177, 218, 211, 36, and 38. This is mentioned in the Seat of Government Acceptance Act of 1909.